and, of course, take a look at the photo album with more than 250 selected images from 10 days of this tour. When mountains in the central part of the Balkans start having freezing temperatures at night in the autumn, it’s time to head south, to the warm, meditteranean part of the peninsula. That is exactly what we do every year in the Balkans Wild Tracks tour. This is the adventure we’ve experienced between October 20th and November 5th in Greece, Albania, Macedonia and Serbia. Building on the success of Eastern Serbian Nomad’s Adventure, we take the journey further south. 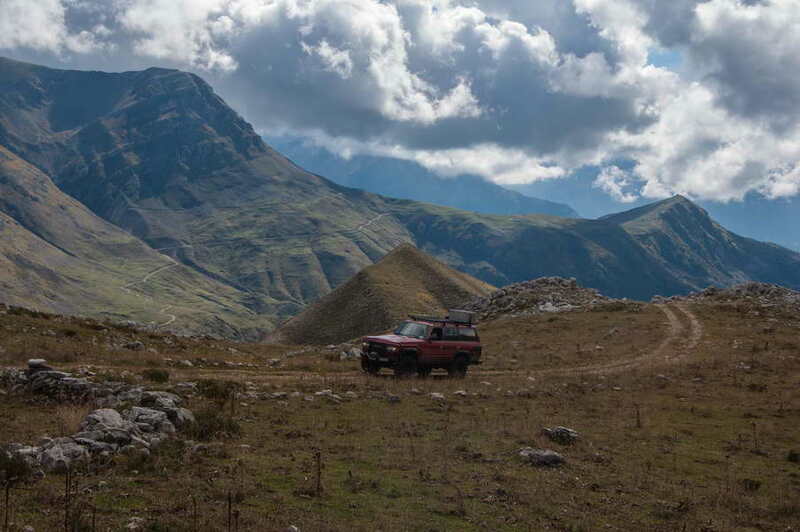 Stara planina left the participants in true overlander’s extasy – the sheer beauty of the mountain, the rich experience of the landscapes, combined with demanding trails, make you crave to return! So we’re starting our south Serbian journey from there. Southeast Serbia is the home to all the highest Serbian mountains, giving you the opportunity to float on endless grassy ridges. The kind of landscape typical for Stara planina goes on for an entire week in this tour, revealing to the participants mountains such as Ruj, Vardenik, Suva, Besna Kobila and Dukat. There will be TWO South Serbian Nomad’s Adventure tours in 2016 – one in July, and the other in September. For more info and application form please visit the tour announcement on Rustika Travel website.